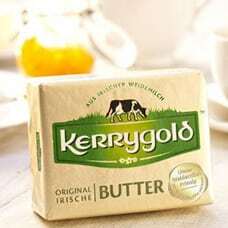 Kerrygold Butter, made from the milk of grass-fed cows, is the No. 1 butter brand in Germany and is available in salted, unsalted and spreadable formats. 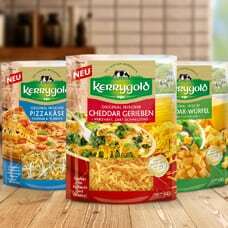 Kerrygold Cheese is the leading cheddar brand in the market and comes in a variety of formats, including blocks, slices, grated and cubes and a variety of flavours including Kerrygold Cheddar, Kerrygold Mature Cheddar, Kerrygold Vintage Cheddar, Kerrygold Dubliner and more. 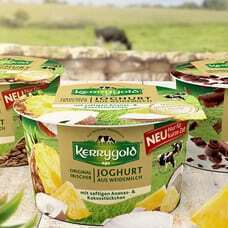 Kerrygold Yogurts are rich, creamy yogurts that get their distinct creamy flavour from the milk of grass-fed cows.